Translator English Dutch - Tessa van Swieten Vertalingen. 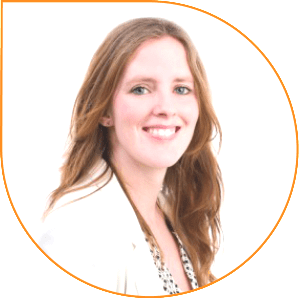 Translating from English into Dutch and from Dutch into English is a specialist skill and you are at the right address with Tessa van Swieten Vertalingen. In addition to specialising in the German language, I also studied the finer details of German culture and their quality requirements. My translations are more than just simple 1-to- 1 literal translations. When creating Spanish translations, we take into account the specific national and regional dialects. As we use native speakers the translation will always resonate with the target group. You can present your product or service perfectly in your own language. This also becomes your calling card, generating confidence and new orders. You probably want to achieve the same effect in the Dutch market. This is why you want the standard of the Dutch text to be as close as possible to that of your original text in German, English or Spanish, but including any relevant country-specific characteristics. For example: how should you differentiate in English between ‘Sie’ and ‘du’, the German polite and familiar forms of you? Do you want to promote your business abroad? Then with me you are at the right address for your translations. I always collaborate with native speakers to ensure your text is not simply translated, but will resonate with your target group. 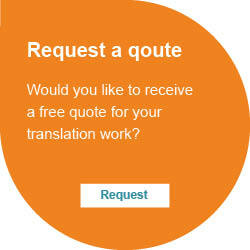 I am your partner for advice, a culture check and tailored translations. Tessa van Swieten Vertalingen strives to match, or even surpass, the quality of your original texts. When I work on my translations I strive to provide you with a flawless text. I will leave nothing to chance. I want the text to be grammatically correct, easy to read, crystal clear and with a good flow. I will also discuss the translation with you and look at it from the point of view of the reader, to ensure the translation resonates with your specific target group. All this will help foster a particularly good impression of your company. Knowledge of and experience with foreign languages is not foreign to me. I have a passion for languages. At the gymnasium (grammar school) I learned 7 languages, including an elective course in Spanish. I then took the German/Spanish- Dutch translation course at the HIVT in Antwerp. During this time I spent a year at the Johannes Gutenberg University in Germersheim. I achieved my second master’s degree in translation at the VU University in Amsterdam where I specialised in ICT & English- Dutch translation. After completing my study I gained experience as an in-house translator at a translation agency and at the European Commission. 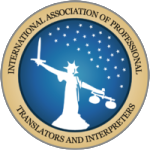 Since 2008, I have been working as an independent translator for government institutions and reputable translation agencies. Text to and from Dutch, German, English and Spanish, cooperation with native speakers, aculture check: I will ensure your texts always resonate with your desired market. I also provide the additional service of proofreading the translations. This enables us to guarantee there are no differences in interpretation between the source text and the translation. If you are unsure of the quality of an existing translation or text, I can check various aspects for you such as the content, grammar, spelling and the consistent use of terminology. GDPR privacy legislation states that a website visitor may determine which cookies are or are not stored in their Internet browser. Cookies are small files that are placed on your computer and are later retrieved when you again visit the same website. These cookies ensure that 1) your website visit is processed faster and 2) we receive information as to where our visitors came from when visiting our website and what they read.